3 January 2019 (FAO)* — Abdul Jabbar, a farmer in Bangladesh, had an epiphany a few years ago. He and his fellow farmers travelled to Kenya, the Philippines and India to learn from other farmers. The trips were organized by FAO as part of a larger programme to assist smallholder farmers in Bangladesh, and what Abdul and his colleagues learned would go on to transform their lives and livelihoods. Small-scale farming is a critical part of Bangladesh’s economy. More than 70 percent of Bangladesh’s population and 77 percent of its workforce live in rural areas. Farm sizes are small, with average land holdings of less than one hectare. This state of affairs presents many challenges. The smallholder farmer is relatively powerless in the market and can struggle to get a fair price for their crops. In addition, FAO discovered that there were very few farmer organizations or collectives to which these farmers could turn for support. It became clear that the farmers needed a national platform to connect local farmer groups. Not only would this enable better bargaining in the market, but it could also facilitate the sharing of best practices and opportunities. In response to this need for connecting and collaborating, the All Bangladesh Farmers Society was formed in 2014. Abdul, its current president, is proud of the Society’s growth and impact. “We now have group members all over Bangladesh,” he reports. In addition to the educational trips abroad, Society members are provided with services like livestock vaccination and de-worming, machinery rentals, seed exchanges and plant nurseries. One of the most successful of the Society’s programmes has been vermi-composting. Depleted topsoil poses a major challenge to farmers. 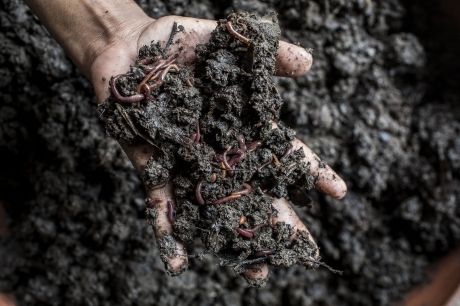 Abdul remembered how farmers in the Philippines used worms to compost, and how this provided them with a lucrative business. He proposed to the Society that they open a vermi-composting business of their own. 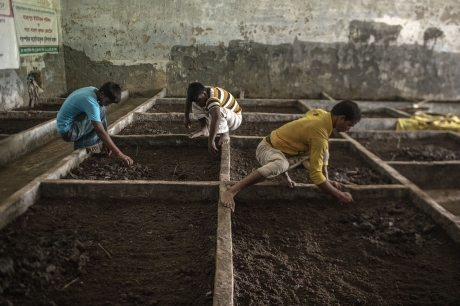 After sourcing dung and earthworm eggs, the Society received training from FAO in best practices for vermi-composting and opened their doors for new business ideas. The demand for this nutrient-rich compost was enormous. In 2017, the Society operated 22 composting chambers and could produce 10 tonnes of vermi-compost fertilizer a month. Production is so successful, that nationwide the Bangladesh Agricultural Development Corporation (BADC) may become the Society’s first major client. He is one of over 5 500 farmers, government staff and agricultural technicians in Bangladesh who benefitted from this programme. Investing in agriculture can transform lives, reduce hunger and malnutrition, and eliminate poverty. Working with international partners, FAO has contributed to over 2 000 agricultural and rural investment strategies, policies and programmes in more than 170 countries. FAO Investment Centre carries out the majority of this work.